Jepkosgei will come to the ADHM 2018, scheduled for October 21, in fine form buoyed by a half marathon win over a classy local field in a high-altitude race in her native Kenya last Sunday. NEW DELHI: Kenya's world half-marathon record holder Joyciline Jepkosgei has been added to the women's elite field for the Airtel Delhi Half Marathon, brightening prospect of a mouth-watering head-to-head with three-time Olympic gold medallist Tirunesh Dibaba. The pair have met twice before. Firstly, at last year's Ras al Khaimah Hal Marathon when Jepkosgei finished third and the Ethiopian legend was fifth; secondly in May this year at the Manchester 10km in Great Britain when Dibaba (whose participation in the ADHM 2018 has been previously announced) got the upper hand with a convincing win - 31:08 to 31:57 - with the Kenyan runner in second place. Sandwiched between these two record-breaking half marathon outings, Jepkosgei also became the first woman to run under 30 minutes for 10km on the roads when she ran a world record of 29:43 on her return to the Czech capital Prague in September 2017. 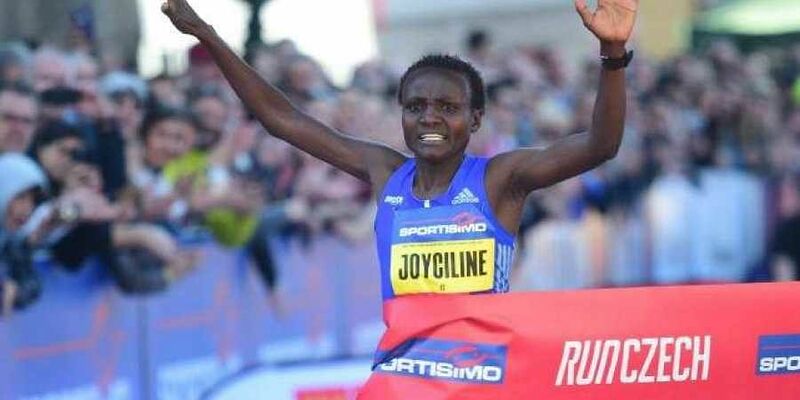 "I am very excited by the prospect of seeing Joyciline and Tirunesh duel for supremacy in the capital city. Both women are coming here in great shape and an entertaining and engaging battle should be in prospect," commented Vivek Singh, joint managing director of race promoters Procam International. "The focus of attention will inevitably be on their head-to-head, but it also would be very unwise to ignore the rest of the elite women. We have already announced that there will be a very strong contingent in the women's race coming from Ethiopia."